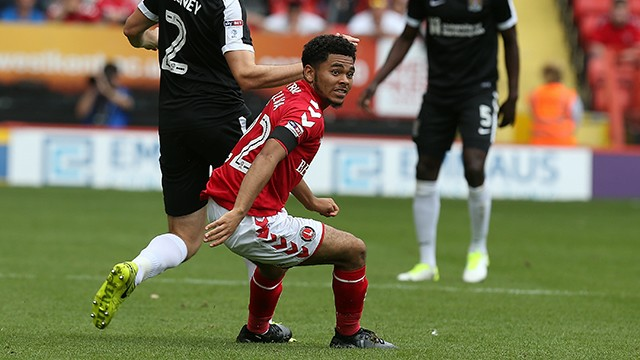 Jay DaSilva had never made an appearance at the senior-level when he arrived, on loan, at the Charlton Athletic Football Club. The player went for 90 minutes in his first ten games, missing one because he was called up for the England U20s, and ended his season with a total of 41 appearances. This made him the player with the fifth-most minutes on the team, at 3 332, and garnered him the Supporters’ Player of the Year Award. And, while there’s no doubt that Charlton would welcome him back with open arms, especially if they get promoted to the Championship, Chelsea should view the option of sending him out of England for the next spell of his loan. Following a template that worked for Matt Miazga and Andreas Christensen, as punters who enjoy NZ betting will well know, Chelsea should look at loaning DaSilva to a club in the Bundesliga or to Vitesse for two years. This hitch allows players to quietly learn and absorb the technical demands these leagues put on them, and it works particularly well with defenders. DaSilva, a physical left-back with extraordinary footwork on the ball, would be a perfect fit for Germany and Holland, and playing there would allow him to gain progress in both sides of his game. Working with these leagues would see him expanding his technical and tactical repertoire a lot beyond what he may learn here. The styles of plays in these European Clubs would help DaSilva to prevail over his biggest hindrance: his stature. At just 1.7 meters tall, DaSilva is a full eight centimetres shorter than Cesar Azpilicueta, and only slightly taller than N’Golo Kante. He will need to gain knowledge of the tactical movements and bodily positions that will go towards ensuring that he doesn’t get bowled over by bigger players cutting inside, and he’ll need to be very fit to ensure he’s always on the defensive. Similarly to Azpilicueta, he is powerful in tackles, holding his own against players of any size, but he still needs to learn how to win games of the likes of the Premier League. Playing in the Bundesliga or Vitesse could also be an opportunity for DaSilva to try a defensive midfield position. He is a short, left-footed defender who is incredibly comfortable when it comes to a soccer ball, and holds a distinctive set of tools that could work very well in the pitch’s middle. Were he partnered with a box-to-box midfielder like Kante, DaSilva could become a very effective option in terms of pivoting play out from the centre-back above and beyond his defensive duties. DaSilva’s experience as a Charlton full-back shows that he could become a considerable threat in the half-space in an offensive possession, were his midfield partner in charge of covering defence. Chelsea Football Club has solid depth for the left-back for the foreseeable future, with Emerson Palmieri and Marcos Alonso leading the way as far as the next few seasons are concerned. Should it become necessary, Antonio Rudiger and Cesar Azpilicueta could cover the position too.